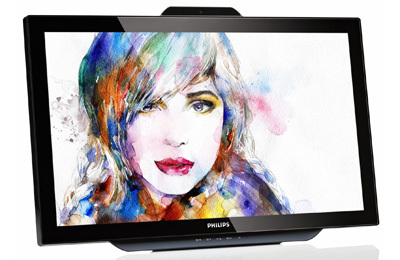 MMD, a leading technology company and brand licence partner for Philips Monitors, has launched its 23-inch Smooth Touch display. The 231C5S display has a 10-point capacitive touch, providing natural fluid response to gestures. It also features a webcam and microphone, said the company in a statement. SmoothTouch display uses advanced IPS technology for a 178-degree viewing angle, it said. “With more and more people using tablets and Smartphones, we're now interacting with computers in totally different ways,” stated Thomas Schade, vice president at MMD. “The new SmoothTouch display contributes to a richer user experience with technology, enabling people to engage intuitively with their PC using a range of touch gestures. At 23 inches, the display is spacious enough to get some serious work done, as well as vivid enough to bring apps to life,” he explained. The display includes ‘SmartStand,’ an adjustable stand that can be leaned back to almost 60 degrees on the desktop, placing it at the right angle for tap and swipe gestures, said the statement. With SmartConnect, it includes HDMI and VGA connections, DisplayPort, and USB 3.0 for ultra fast data streaming and simultaneous charging of a smartphone.